Food going to waste in Australia is having a devastating environmental impact according to a recent report released by SecondBite. In 2011, SecondBite collected and redistributed over 1 million kilograms of fresh nutritious food that would have otherwise gone to landfill. The social and health impacts from this work are profound (see Report 1 of this report series). The report ‘Food Rescue. A Fresh Approach. Report 2”, launched at CERES Environmental Park by Ryan Smith, Victorian Minister for the Environment and Minister for Youth Affairs, is the second in the series and outlines the results of life-cycle assessment commissioned to examine the positive environmental significance of fresh rescued food. Over 6 million kilograms of greenhouse gases (Co2 equivalents) saved. 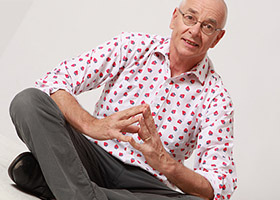 “SecondBite’s food rescue has saved the equivalent of Co2 emissions used by 919 flights from Melbourne to Perth; energy wasted leaving one television on for 1,245 years; or water saved that would fill 39 fifty-meter Olympic swimming pools!” said Mr Smith. The report, undertaken in partnership with Melbourne University, measured the significant environmental impact of rescuing food that would otherwise have gone to landfill. According to Elaine Montegriffo, CEO of SecondBite, whilst SecondBite is on target to rescue 2.5 million tonnes of food this year, this represents only a fraction of the many millions of tonnes that are wasted each year. “In this country alone, over a million Australians do not have enough to eat and yet, at the same time, Australians are wasting billions of dollars of food per year. Even worse, we are sending the bulk of that food to landfill where it creates methane, a greenhouse gas 25 times more potent than carbon dioxide,” she said. Ms Montegriffo said that given the evidence revealed in the report, the question we need to ask is why do we continue to throw millions of tonnes of good quality food into landfill instead of re-distributing it to people in need. “SecondBite ensures that in the short-term, hunger is relieved with sustainable nutritious food. In the long-term, it is going to require significant changes in behaviour from us all – individuals, communities, industry and government to address the underlying challenges of massive food waste and food insecurity. “There is much much more that needs to be done. 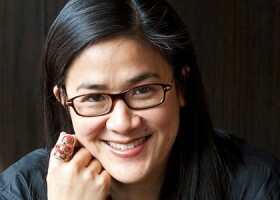 By collaborating with academics, policy makers, industry, and community organisations such as Do Something, SecondBite is exploring long term solutions to this crucial global issue with the aim of helping create a more environmentally sustainable and equitable food system,” she said. A huge amount of fresh food still goes to waste each year – we are only rescuing the tip of the “food berg”. Water and food are precious in every community across Australia. We need to conserve all that we have to ensure a healthy Australia for now and the generations of tomorrow. SecondBite’s Research and Development programs also help to brighten the future; innovative food rescue initiatives like Community Connect™, nutrition education programs and social-research into poverty and food insecurity in Australia. We want long-term and preventative solutions to the problem. SecondBite is proud to work with Jon Dee and the team at Do Something in promoting the positive environmental impact to be gained by stopping good quality fresh food from going to landfill. If the food supply was sustainable and all Australians had access, SecondBite would no longer need to exist. It is to this end that we work every day. 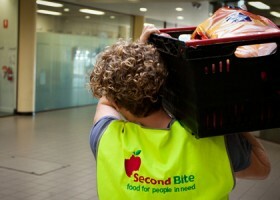 SecondBite is an innovative food rescue not-for-profit organisation, operating in Victoria, Tasmania, Queensland and NSW. They provide access to fresh surplus food for over 400 community food programs, last year rescuing over 1 million kg of fresh food.